Books like Braving It are like candy to me. You open, start eating and suddenly you are on a serious sugar high. Alaska, father and daughter, epic conditions and the ever changing land and family relationships. I did a five-day hike in Alaska 21-years-ago and thought I would be back again and again but I’ve yet to return. Suddenly I found myself staring at maps of the Arctic National Wildlife Refuge. Then I found this book and burned through it in less than a day, even after taking time to watch game one of the World Series. (Did not see game two which may be the best game in Series history.) My hike was TAME compared to what James and Aidan Campbell endure. Temps in the minus 40 range, hypothermia, bears, angry rivers and isolation. 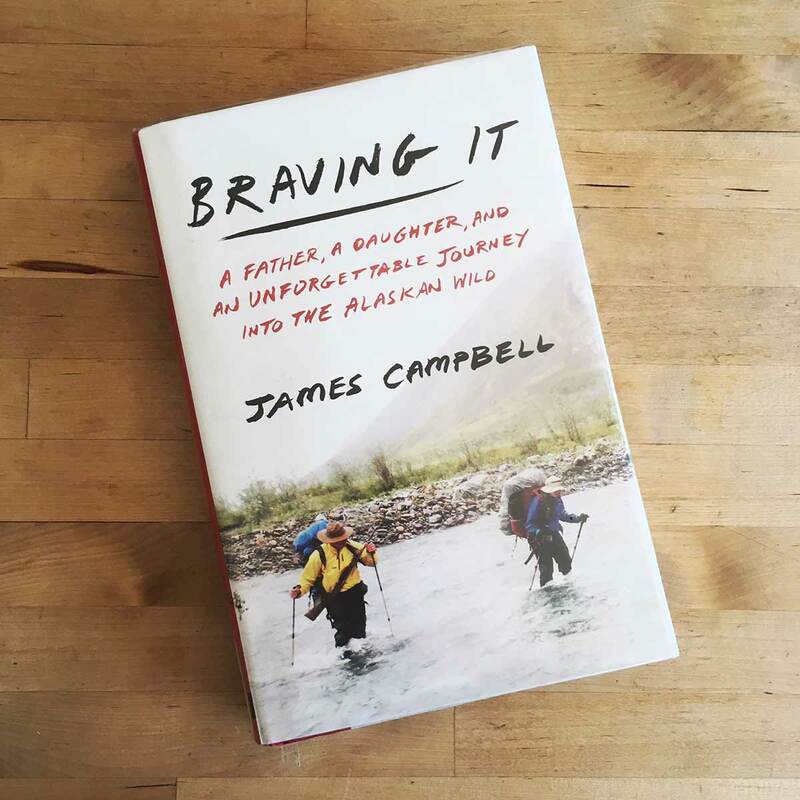 If you have any desire to be outdoors then this book is worth the time. And even if you don’t want to venture out it’s good to know about these places and people. Get it, read it. I’m convinced our culture is dead, American culture that is, and I know we are no longer a people who do the right thing, so places like ANWR are going to disappear faster than you can imagine. Wanna see these places, go now. I’m beginning prep to head north next summer. I just hope I get there before Trump, Pruit and Zinke, who are lining up to go down in history as three of the worst environmental custodians of all time. These guys know their window to line to their own pockets is very narrow, so the next two years are going to be telling. Fingers crossed. I’ve wanted to take a truck up there and run the Dalton Highway all the way to Prudhoe Bay. Just a few tangents and stops along the way. I’ve got an all dirt route from 4 Corners to the Canadian border. Just a matter of figuring the route through Canada and finding enough time. Yep, me too. Dalton Highway up, bicycle back. And major hikes and camps along the way. Yep. Tons of people have done it. One kid did in middle of winter, then road the Tour Divide during the winter with a fully loaded, no suspension tour bike. You and I will have full race team support of course. Massages, blood bags and DNA splicing. Add EPO injections and I’m in. I wonder if I can hide new bike parts in with the boxes of truck parts that arrive at the house? I’m hitting up the library for all things Alaska. I can’t stop thinking about ANWR and what a trip there would be like. You are on your way back?